Reverend Karen Foster is our Senior Minister. Welcome to a new era of ministry at UUFNN and an exciting new beginning with Rev. Karen Foster as our new settled minister! Karen is a dynamic spiritual and organizational leader who inspires us to deepen our engagement in our quest to grow in love, faith, justice, and joy. Karen desires to help us create a welcoming space and path to membership for new people and underrepresented populations. She views Sunday services as key to mobilizing our existing and potential community, leading services that are both compelling and challenging. She draws newcomers while inspiring members to reflection and action. Rev. Karen is an innovator by nature who loves change, and loves to ask, “Why not?” She believes that in our rapidly changing world the Church at large must ask hard questions of who and what it can be to thrive. She asserts that risk-taking and innovation are the keys to creating compelling spiritual community. Karen understands and brings together our various religious and philosophical perspectives, while honoring and celebrating our diverse traditions. Rev. Karen holds a Master of Divinity and Master of Arts in Spirituality from the Pacific School of Religion in Berkeley, CA. Rev. Karen ministered to the sick and dying during the AIDS pandemic as Associate Pastor at the Metropolitan Community Church of San Francisco, and was the founding Senior Pastor of the New Spirit Community Church of Berkeley. Rev. 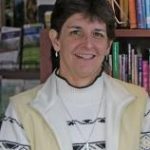 Karen has served as our Director of Lifespan Religious Education at UUFNN for seven years giving her considerable depth of relationships and trust within our congregation. Rev. Karen is excited for us to move boldly forward into our future together! Kristin Famula is our acting Director of Lifespan Religious Education. 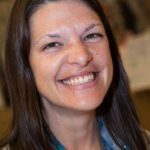 Kristin Famula has been a religious educator for over a decade serving congregations in Colorado, California, and currently serving as our acting Director of Lifespan Religious Education. Kristin also serves in many other capacities as a UU – including as a program leader for the UU College of Social Justice and as a youth ministry consultant in our district. 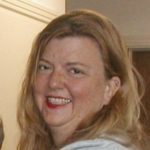 In addition to a commitment to Unitarian Universalism, Kristin has dedicated her life to the work of peace and justice, most recently serving as the President of the National Peace Academy (nationalpeaceacademy.us), an educational institute dedicated to holistic peacebuilding and peace education. 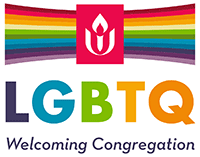 As an educator and a life-long UU, she works to create and offer opportunities for people of all ages to deepen their commitment to our Unitarian Universalist principles through reflection, learning and community building. Carol Sorensen is our Office Administrator. Carol started as our office administrator in June of 2007 and holds a degree in Philosophy and Religion. She is a member of the Association of Unitarian Universalist Administrators and the UU Society of Community Ministry. She enjoys helping people, and is glad to be here. Her office hours are from 9:00am – 3:00pm Tuesday through Friday. Bill Quinby is our Music Director. Born in the Philadelphia area, Bill began his choral education with the Columbus Boychoir School (more recently called the American Boychoir) when he was 11. He has worked with singing groups and caroling groups on both coasts since he was in his early 20’s. More recently, he has been musical theater music director in many productions in Reno and Ashland, Oregon. He also has taught voice in Nevada for over 15 years. He recently began his eighth year as Music Director for UUFNN. 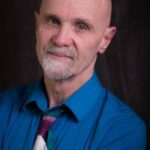 Bill believes in the power of music to connect people of disparate segments of society and would like to see the choir perform more music ministry in the community. Marilee Hunt-Mallett is our Pianist/Accompanist. Marilee is a native of Reno and the daughter of Steve and Iris Maytan, who owned the Maytan Music Center. She started playing piano at the age of 5 and french horn at the age of 11. Marilee graduated from Wooster High School and majored in Music Education at the University of Nevada, Reno. 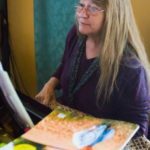 She was one of the pioneering musicians of the Reno Philharmonic Orchestra under the direction of Gregory Stone and has played professionally in many local show bands.